WELCOME TO ERTH STUDIOS. STARTED IN 2016, WE OFFER A UNIQUE, ALTERNATIVE APPROACH TO MUSIC EDUCATION. BASED IN GRAND JUNCTION, CO, WE TEACH A WIDE VARIETY OF MUSICAL STYLES, INCLUDING BLUEGRASS, JAZZ, AND ROCK AND ROLL TO STUDENTS OF ALL AGES AND LEVELS OF STUDY. OUR MISSION IS TO OFFER AN ENJOYABLE, PRODUCTIVE WAY TO LEARN MUSIC, AND WE LOVE WHAT WE DO. 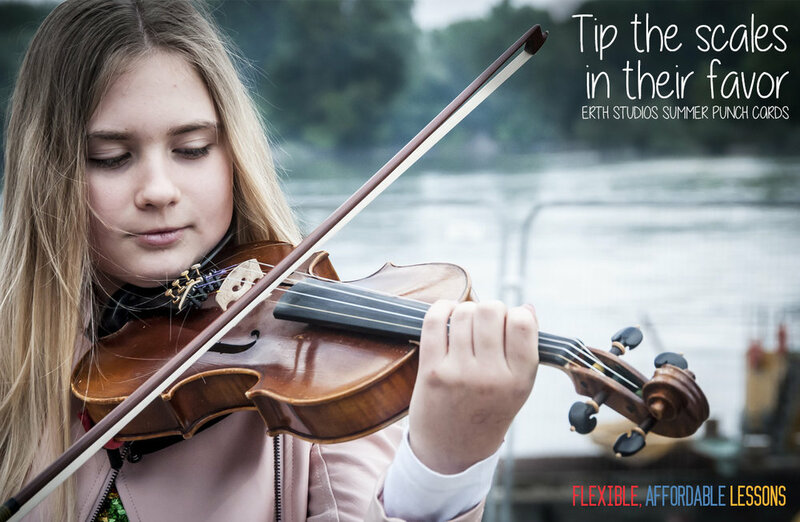 ERTH STUDIOS ALSO PROVIDES AN EXCELLENT INSTRUMENT RENTAL PROGRAM THROUGH INTERMOUNTAIN MUSIC: STRING RENTAL OF THE ROCKIES AND AN AWESOME, IMMERSIVE TWO-TRACK EXPERIENCE THROUGH RED CLAY ROOTS SUMMER STRING CAMP. The Red Clay Roots Summer String Camp in Grand Junction, CO offers a uniquely profound education for middle and high school students of all ability levels in contemporary music styles and classical technique, with emphasis on creativity, collaboration, and performance. Sign up for lessons in piano, Voice, Violin, Viola, Cello, bass, guitar, mandolin, banjo, and ukulele with some of Grand Junction’s finest teachers and musicians. Request a high-quality, affordable violin, viola, or cello rental with the convenience of online payment and direct delivery to your school orchestra program.